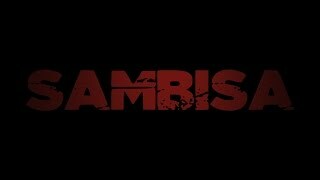 Sambisa – Main trailer online now! “Sambisa”, written and directed by Uche Aguh, is the first narrative film to be made about Boko Haram. The short film, based off the stage play “Into the Sambisa”, also written by Uche Aguh highlights the Chibok School-girl abduction scandal which occured in Borno state, Northern Nigeria, in 2014. The 273 girls who were abducted by Boko Haram Soldiers, were taken into the Sambisa Forest. Some have escaped, while many remain in captivity. Now, more than two years passed, these girls are still no where to he found. The rest of the world may forget about these girls, but we will always remember them. On April, 14, 2014, two hundred and seventy three girls are captured and abducted by Boko Haram soldiers, in Chibok, located in Borno, Northern Nigeria. The girls are taken into the Sambisa Forest. Some girls escape. The majority remain in captivity. This is a fictional account of a historical event. It is now forty days later. ‘Sambisa’, a short film based off the Stage Play ‘Into the Sambisa’ is set in the midst of the Chibok School girl abduction scandal, which occured in Borno State, Nigeria, in 2014. The story chonicles the difficulties faced by three girls captured among the two hundred. These three girls are chosen selectively, by the faction commandant, Abubakar who brings them into his house to serve as wives and concubines. The girls are taken in by the commandant’s wife, Mariam as she teaches them what it means to become a woman. Along the way, one of the girls is married to Abdul, the young son of the commandant. The Nigerian army, now charged with the task of destroying Boko Haram, and rescuing these girls, a war breaks out in the Sambisa. The complexities of war, disorder, chaos and the arrangement of a forced abduction, marriage and abuse, confronts each of the school girls, individually as they fight to discover a way out of the Sambisa Forest; the hiding place of Boko Haram.